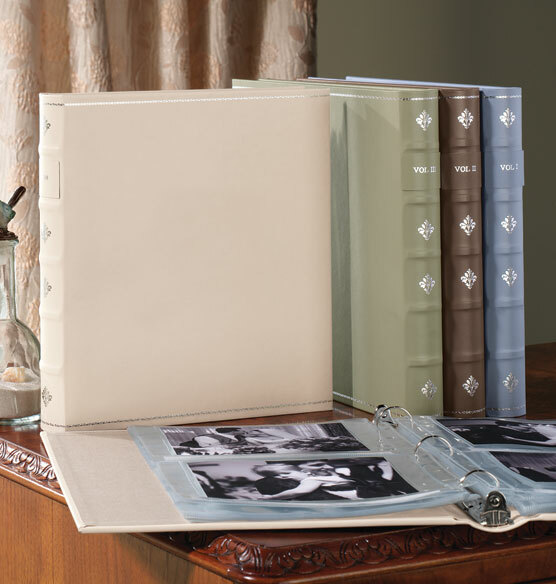 Smooth, softly colored bonded leather adorned with a single vine of silver tooling sets this Emma photo album apart. 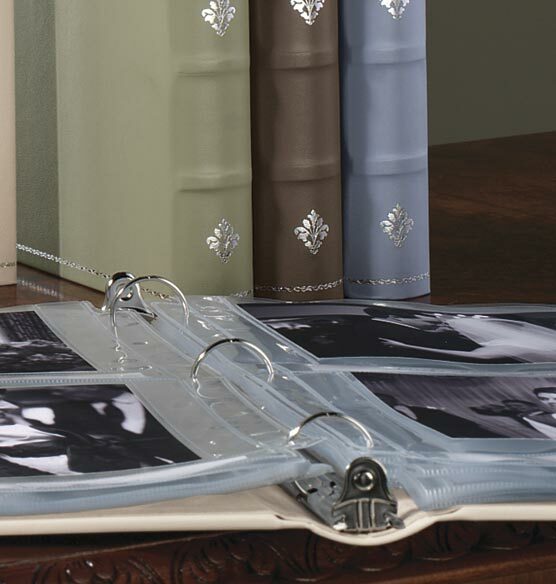 Brighten your bookshelf or coffee table with these beautiful photo albums. Own 3 already, and like them. I have been buying "Emma" albums for more than 10 years. The set looks handsome in my wall unit and, so far, the albums have held up well. 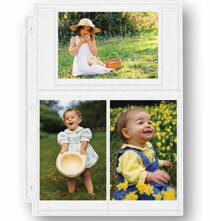 It is difficult to find high quality albums anywhere but at Exposures. I have at least eight of them. It is similar to a series of albums I purchased years ago. It's pretty and different than your standard album. 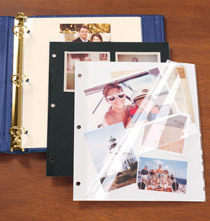 It has lots of room for photo's and you can use the scrapbook type photo pages to personalize it. Have one already and it is just beautiful! Does it hold standard 3-ring pages? 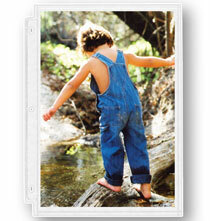 I have some 8x10 size that I'd like to use. BEST ANSWER: Yes it does. 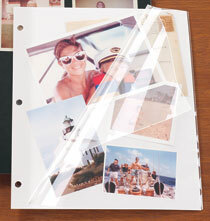 I used different sized photo pocket pages in the ones that I bought and 8-10 pages fit nicely. Could you personalize the spine? (instead of "vol. II"). Could I specify other words? If so, how many lines? BEST ANSWER: Thank you for your question. We do not personalize the spine. We hope this information will be of help to you. is the white one "almond" or "mushroom"? BEST ANSWER: Thank you for your question. The almond is the light cream color album. We hope this information will be of help to you.